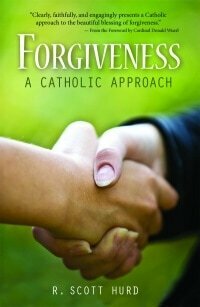 truth is, we all have someone to forgive(1),” writes R. Scott Hurd, in the very beginning of his life-changing book Forgiveness: The Catholic Approach (“Forgiveness”). The following is Scott’s list of people we may need to forgive; the comments in the parentheses are my two cents. We cannot begin the healing process if we do not first acknowledge that we need to forgive, and then identify who that person is. I have encountered people at my retreats and presentations on forgiveness who admit they really can’t think of anyone they are angry with. However, when I start going through this list, I often see that light bulb moment as someone comes to mind. Usually, the welling of tears and nods of agreement come when I mention needing to forgive ourselves. Priest: You know what you are, Allison? 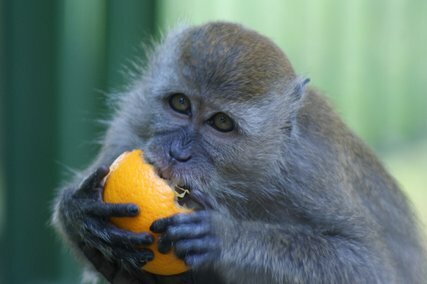 A monkey with an orange. Allison: Well, interesting Father, I’ve been called many things, but have to say this is the first for this particular moniker. Priest: There is a story that says in Africa, the natives use a technique to catch monkeys. They hollow out one end of a coconut and they put an orange inside. The monkey puts his hand in the coconut and when he makes a fist to grab the orange, he’s trapped. The natives will pull a string attached to the other end of the coconut and capture the monkey. Allison: Something tells me you aren’t going to support my not forgiving this person? Priest: No, for your own good, and the good of that other person, I won’t be backing you on this one. Over time I became so comfy with my orange that I forgot how to let go and even FEARED the consequences if I were to let go. In letting go, I wondered if I would be handing that person a victory over me or something even worse. If I forgave them without an apology or punishment, would I be letting them “off the hook”? Certainly, I could never do that–right, after all they had done? No, this orange was mine and with that, I tightened my grip. As a kid I suffered from awful stomach issues. I had a battery of tests. The final diagnosis was a ‘nervous stomach’. My young life was in turmoil, and because I could not properly process my feelings they manifested themselves physically within my body. The mind is a powerful thing, and those repressed or obsessed behaviors and feelings can emerge as physical ailments. Jesus did not come to leave us slaves to this world or even our own minds, he came to give us an abundant life. Forgiveness, especially when coupled with the Sacrament of Reconciliation, can be incredibly healing. Scott Hurd punctuates this healing with this wonderful quote from Pope St. John Paul II: “The liberating encounter with forgiveness can be experienced even by a wounded heart, thanks to the healing power of God, who is love.” Forgiving and being liberated doesn’t happen overnight. A heart filled with bitterness, malice, and rage is not capable of living an abundant life. 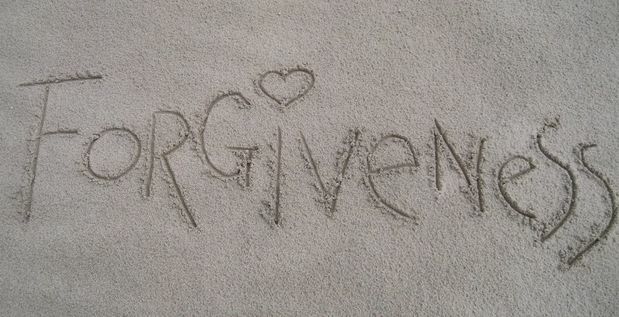 It is indeed liberating to let God transform your heart and to open yourself to experience forgiveness. What Else Was I Failing to Do? Once I acknowledged the real struggle I was having with forgiving, I followed through on my penance–which, by the way, was praying for that other person. Although I wanted to pray, “Dear Lord, change them,” I realized Father T was teaching me how to forgive, heal and move on with this important step. Instead, I prayed, “Lord, please bless this person with every grace and blessing I would ask for myself and more.” This simple act worked miracles on my heart. My life was no longer consumed by painful memories and bitterness. By cooperating with the grace of God, my heart healed and learned how to forgive. (1) and (2) Hurd, R. Scott Forgiveness: A Catholic Approach. Boston, MA: Pauline Books and Media, 2011. Share a past or treasured post and then post your blog link here. 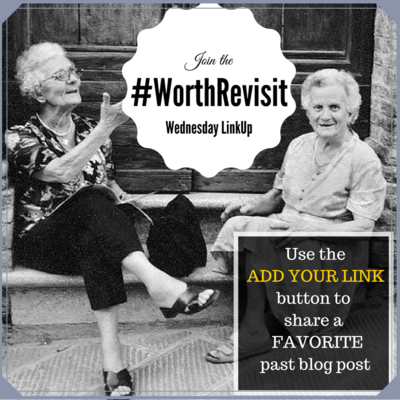 Make sure you’re submitting only (1) Blog Post with your “Worth Revisiting!” and not your main blog URL. Include a link back to www.theologyisaverb.com and www.reconciledtoyou.com/rty-blog.html. #WorthRevisit on social media too! Please be kind and comment/ share at least one post other than your own. 10. Under Thy Roof: Holy Week Plan! 12. TIME FOR REFLECTIONS: The Judas Question.